GEORGETOWN COUNTY, SC (WCSC) - Investigators with the Georgetown County Sheriff's Office say they have arrested two suspected drug dealers following a two month long investigation. 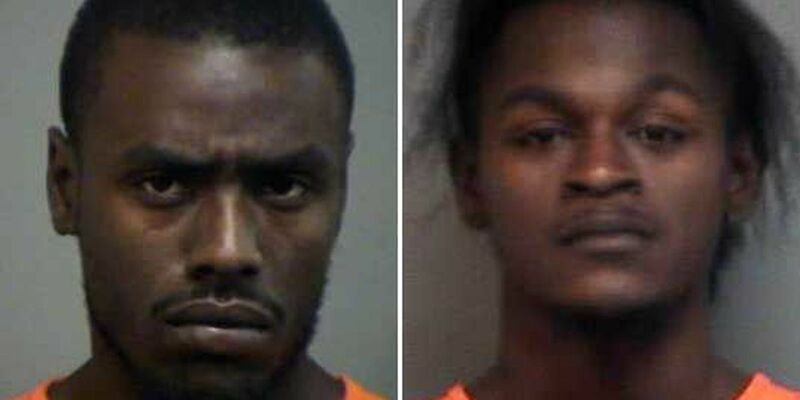 The sheriff's office charged 23-year-old Tywaun Heard and 25-year-old Antwan J. White with distribution of heroin. Authorities say Heard also had two active warrants out of Georgetown, and White was also charged with possession of marijuana. The arrests stem from an investigation which deputies say was based partially on citizen complaints and information of widespread heroin distribution in the Sampit community of Georgetown County. GCSO say Heard and White are believed to be two of the main heroin distributors in the area. Agents seized $800 in cash, marijuana and crack cocaine along with two shotguns and one handgun. Five large screen televisions were also taken from a home on Chinaberry Place, and an investigation is ongoing into their origins. Both men were locked up at the Georgetown County Detention Center.